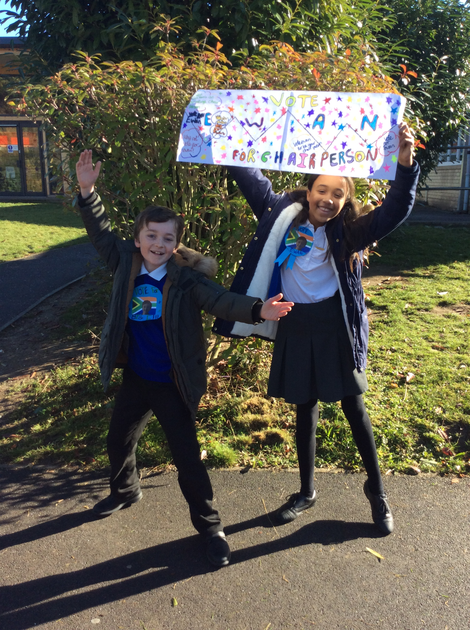 As part of our curriculum week, voices of change, the children have been electing their new school council. 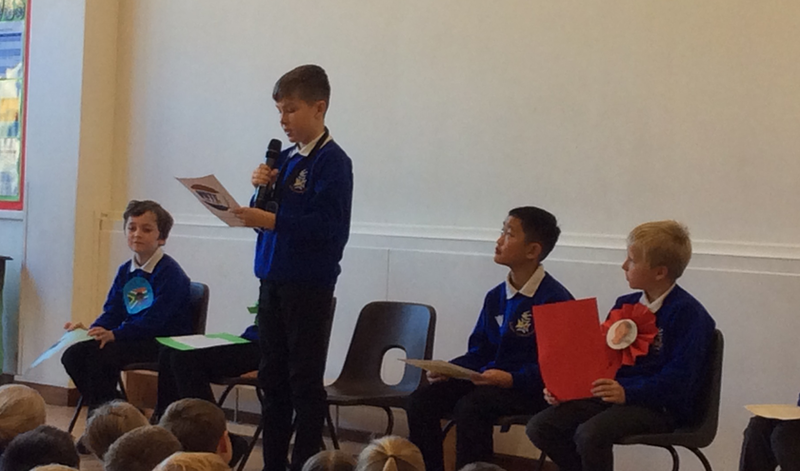 Each class has elected their own member to represent them on the council and on Friday, six Year 6 children gave speeches to the whole school. Once the speeches had been delivered they then campaigned during break time for the children to vote for them. 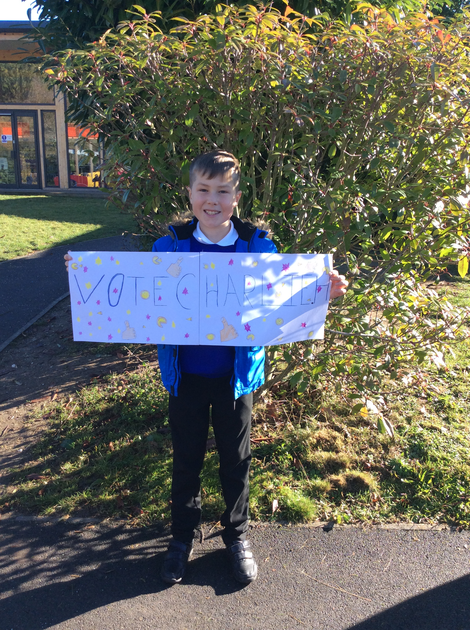 The whole school then voted in secret to elect a chair and vice-chair of the school council. 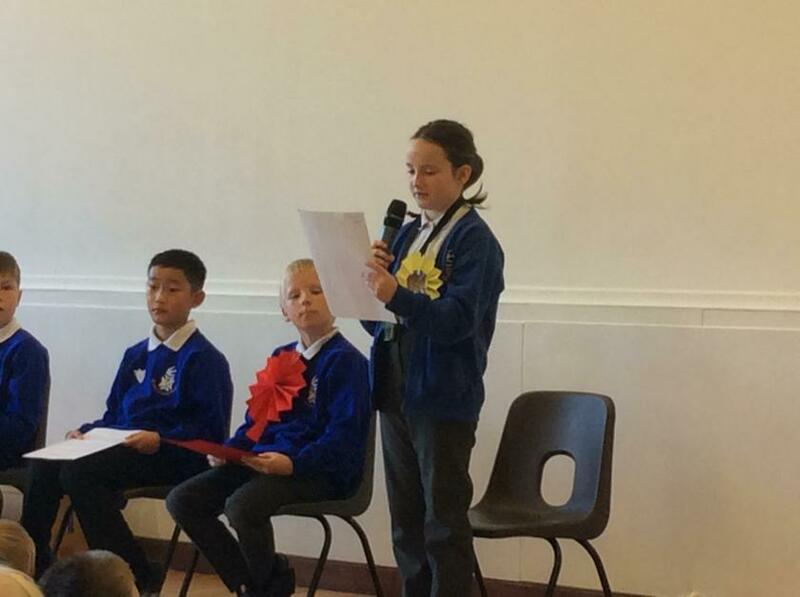 Once the votes had been counted the results were announced in assembly on Friday afternoon. The new chair of the school council is Ewan and the vice-chair is Esther. 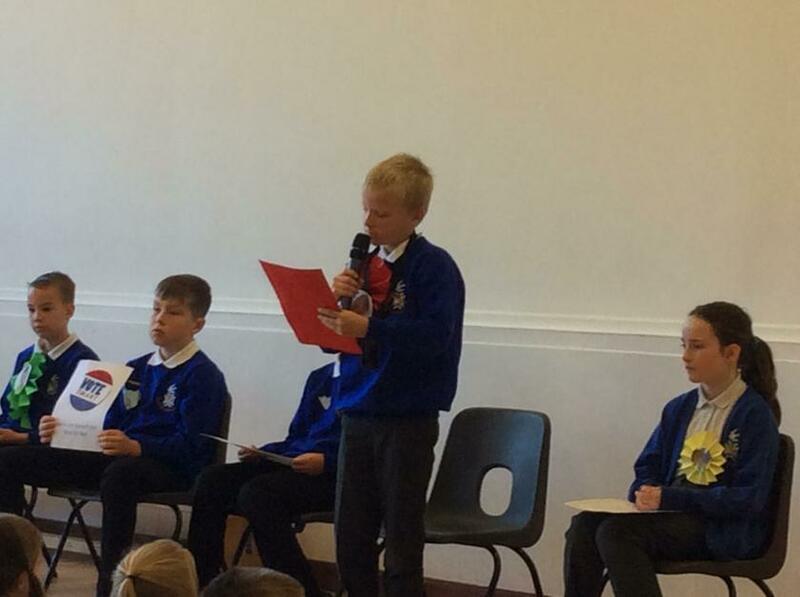 Well done to all the children that nominated themselves for roles throughout the week and had the courage to deliver speeches to so many children and adults!